We all have a recipe in our hearts, the one that recalls a particular moment of our lives… whether it is sweet or savory. 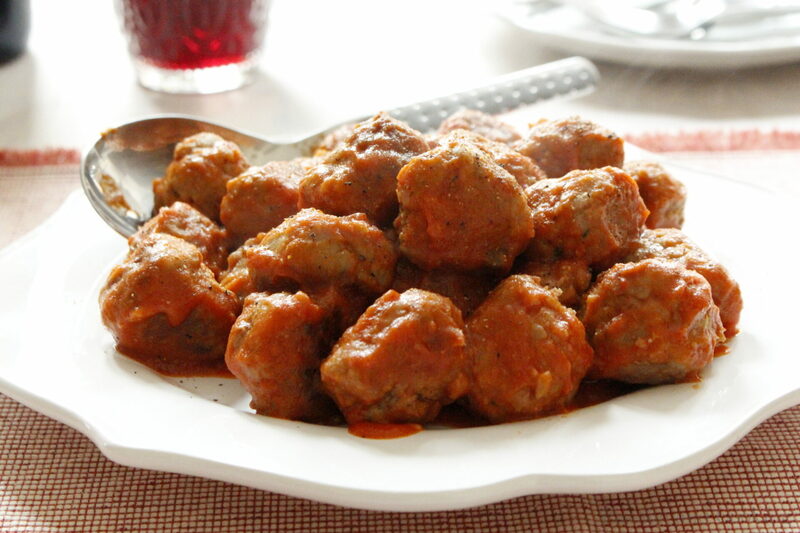 But there is a recipe that is loved by most people, especially by children – meatballs with tomato sauce, the masterpiece of the southern Italian cuisine. Nowadays there are different versions, including fish or vegetarian ones. This is my recipe, that I learned from my mother, with a modern revival according to nutritional suggestion of my last book: The Mamma Mia! Diet. Instead of being fried, the meatballs are baked in the oven. This dish is lighter but remains appetizing and tasty. If you choose the version with the sauce, do not forget to serve good homemade bread or whole grain pasta with it. It will remind you of the well-known Italian recipe, spaghetti with meatballs, so loved by the Americans! 1. In a non stick pan saute the onion and ham over medium-low heat, until onion is translucent. Set aside. 2. In a large bowl mix all the ingredients together. Use your hands to mix well. 3. Scoop up a tablespoon and roll to form a ball. Repeat with the remaining mixture. 5. Place the meatballs on a baking sheet lined with waxed paper and bake in the oven at 180°C (350 °F) until lightly browned. 6. If desired, heat the tomato sauce in a sauce pan, drop in the baked meatballs and cook for a few minutes to blend the flavors. 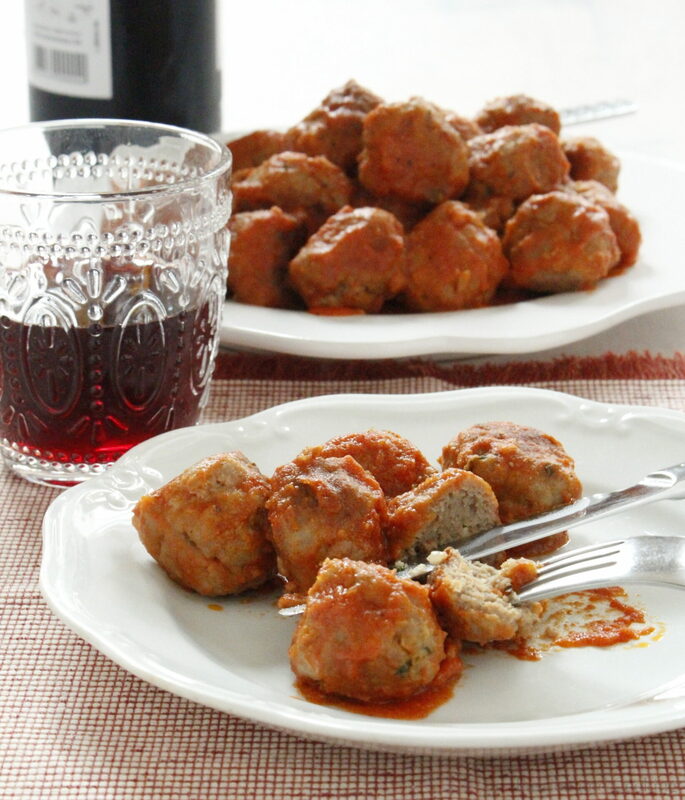 What would life be without meatballs? I recently started to bake mine in the oven, too. Does make things easier, lighter and the balls keep their shape nicely, too. I have always sautéed my meatballs but baking will be easier. When entertaining I think I’ll try baking them, as it will give mw time to do other things. In your recipe, you include ham…are you referring to prosciutto?